Pull up a chair, tuck in that napkin, and get ready for a 5-star meal of mystery with Scooby-Doo and the gang, as we hit the road to visit the Rocky Harbor Culinary Resort to meet Fred's uncle, world-famous chef Bobby Flay. 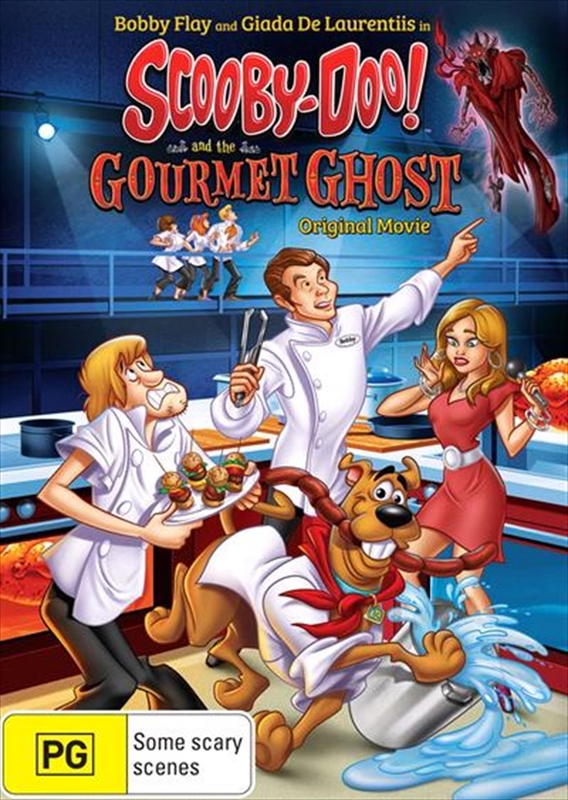 Mystery Inc. quickly learns that this state-of-the-art cooking resort isn't all steak and potatoes after they find out about the legend of the Red Ghost, and the unsolved disappearance of Bobby Flays great ancestor chef. When the mysterious Red Ghost returns in disastrous fashion to haunt the inn, the gang teams up with Bobby and his culinary pal Giada De Laurentiis, to dig in for clues and serve up justice. Will history repeat itself and find another world-famous chef missing? Get ready to take a bite out of this gourmet mystery filled with loads of good eating, tasty laughs and even better twists and turns!